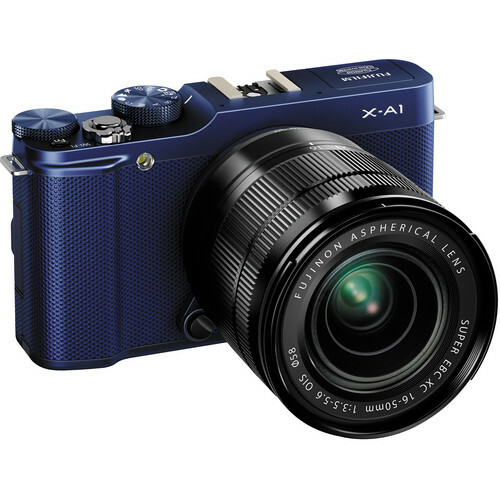 X-A1 gives consumers an affordable entry point into the X-Series line of digital cameras and delivers outstanding image quality using its large 16.3 Megapixel APS-C CMOS sensor, easy operation and wireless image transfer for quick photo sharing. 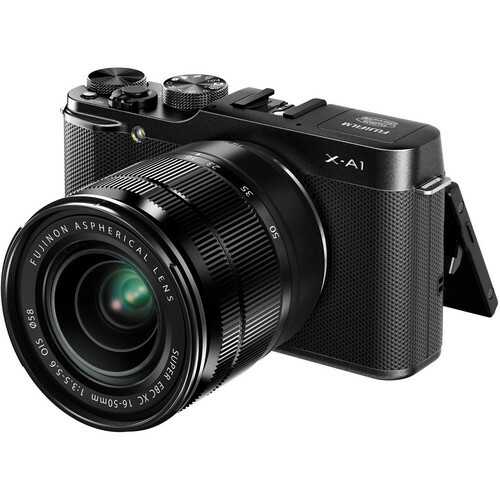 The FUJIFILM X-A1 kit will ship with the FUJINON XC16-50mm (24-76mm)*1 F3.5-5.6 OIS zoom lens. The XC16-50mm is a versatile lens that is ideal for a wide range of photographic subjects, including clear low-light scenes, beautiful portraits and vivid landscapes. The lens consists of 12 all glass elements in 10 groups including 3 aspherical elements and 1 ED element. The lens features seven round-edged aperture blades, which offer 17 stops in 1/3 EV increments for precise aperture control. The X-A1 also features a 3” tilting high resolution LCD screen with 920,000 dots for easy image viewing and framing at various angles. The 3” LCD monitor tilts at variable vertical angles, facilitating both low-angle and high-angle shots whether on or off a tripod. The X-A1 uses a built-in high precision flash, with the guide number 7*5, and Super Intelligent Flash technology that uses scene recognition and automatically controls flash strength to reduce highlight clipping. 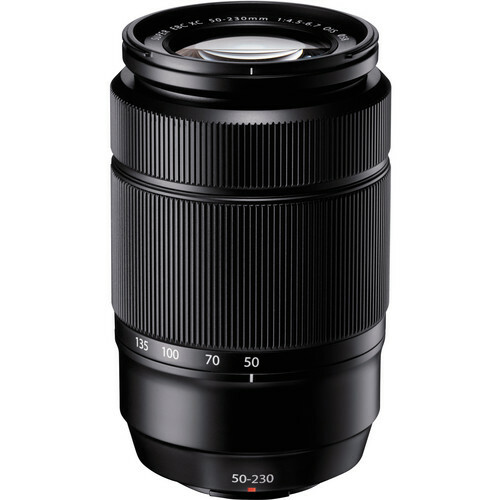 The all new FUJINON XC50-230mm (76-350mm) F4.5-6.7 OIS lens adds even more versatility to the X-Series line of compact system cameras by offering an expanded zoom range that delivers consistently outstanding optical performance throughout. The XC50-230mm uses optical image stabilization to ensure superb performance and effectively reduces blur when shooting at longer focal lengths and in low light. The FUJIFILM X-A1 uses the same FUJIFILM X-Mount as the X-Pro1, X-E1 and X-M1, and all FUJIFILM XF and XC lenses will work with all X-Series interchangeable lens cameras. I’m pretty jazzed about the indigo color and the new mega zoom, but I’m starting to get confused by all of the Fujifilm offerings. This camera does not have the X-Trans Sensor which seems to be the big differentiating factor between this and the X-M1. This helps to keep the price down by $200 USD, so perhaps this is a good entry level camera for those who want to get into the X mount system. With the wide variety of lens offerings, I think this is quickly becoming a very compelling system to invest in, but personally I’m holding out for the X-E1 and X-Pro1 replacements based on the incredible performance I saw with the x100s.